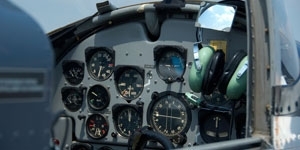 Aviation expertise, quick decision making and individual insurance concepts. The fact that we concentrate on aviation insurance together with the added security of the German AG corporate wording, makes us the ideal choice for aircraft owners and pilots throughout Europe. Euro-Aviation Versicherungs-AG is an Independent German Insurer specialized in Aviation Insurance. Good cover is not measured solely by the price. Euro-Aviation ‘s insurance services provide the best possible cost/benefit ratios. Here you can access our Annual Report 2017 and our Solvency and Financial Condition Report (SFCR) in PDF format.